Sometimes, the most important step in decorating, redecorating, or renovating your home is choosing an interior decorating design idea. There are dozens to pick between, with different styles and themes for each. Even with the advent of innovative and unique styles and themes, a classic, traditional look is still one of the most popular interior decorating ideas today. Thousands of people still choose furniture, accessories, and wall art that conforms to this theme, even if the pieces are not antiques. Selecting this look is most popular to create a sophisticated look, with neutral shades and splashes of color and personality to make it more personal. In order to achieve the classic traditional look, choose wood finishes and neutral colors for the walls and floors, or carpeting in a complementing neutral tone. Furniture is available in a wide variety of styles and colors, from wood grained looks to beautiful and luxurious fabrics and colors. 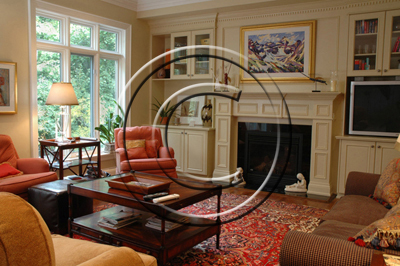 This is where personal preference takes over, and you can be very creative in designing a classic, traditional room. Another popular interior decorating idea involves the more modern and trendy pieces, including bright colors and even metals. With this type of décor, it is not uncommon to have color on the walls and even the floor, with accessories and furniture that are in different shades. In fact, colors do not have to match necessarily with each other, as long as the pieces create harmony in the room. If you are looking for an idea that involves more creativity, an eclectic modern design combines several styles, with one particular idea that connects each piece. Whether it is texture, color, fabric, or style, an eclectic look is perfect for someone who wants something outside of the box. You can choose classic furniture with modern wall shades, reverse the idea, or try something new. Finally, it is worth mentioning that a themed design can be a popular interior decorating design idea, if its tasteful. Something does not have to fit into a specific category to be considered a theme, and your own ideas and tastes can help you create a theme that works for the room that youre designing. Whether have southwestern tastes, a classic European look, antiques, or designs and ideas from a different decade, your theme can be as unique as you are. To create a theme of your own, simply adopt styles and patterns that are attractive to you. From wall color to furniture, flooring to accessories, there is nothing wrong with mixing and matching to create a room that defines your personality. It is your home, so feel free to personalize it your own unique and interesting way. Senior staff writer for Metal-Wall-Art.com, Alyssa Davis, offers design advice on decorating with wrought iron wall sculptures and contemporary metal art sculptures. Article © 2011 Alyssa Davis all rights reserved; content may not be copied, rewritten, or republished without authors written permission.